The crankshaft position sensor is designed to monitor the location of the camshaft within the engine. 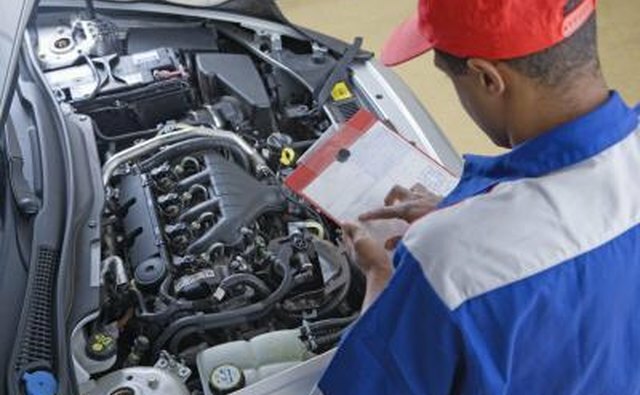 This information is used to fine-tune the timing of a fuel-injected engine. To detect the position of the shaft, electric induction is used. A crankshaft position sensor typically sends data to the vehicle's on-board computer. 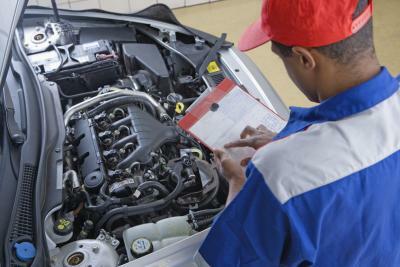 If this sensor is not working properly, the computer will be unable to make fine-tuned adjustments and the engine will not run as efficiently or powerfully. Within the engine, the crankshaft position sensor must be positioned correctly to gather useful data. Usually, the sensor is placed directly next to the crankshaft. On the crankshaft, several pins are placed in the metal. Each pin is spaced an equal distance apart. Also mounted near the crankshaft is a strong magnet. This generates a constant magnetic field. When the crankshaft spins, the rotating pins cause the field to fluctuate. Because the pins are placed at known locations, this magnetic oscillation can be used to determine the speed and position of the shaft. Modern engines are designed to operate most efficiently when all the internal parts are moving at a particular speed. Once the rotation of the crankshaft inside the engine has been sensed, the on-board computer can use this information to make small but important adjustments to increase efficiency. When the engine is running at constant throttle, such as when cruise control is set, small changes are made by the computer to change the speed of the engine. The computer constantly checks the actual rotation speed from the crankshaft sensor and compares it to the ideal range. The engine speed can then be increased or decreased until it is running at the most optimal level. What Is the Purpose of a Timing Chain? What Is a Camshaft Actuator?